IIT Madras appointed as Indian Coordinator for ‘Smart City’ working group of Heritage Network, an Indo-European network of leading Technical Institutions. The conceptualisation of Smart City varies from city to city and country to country, depending on the level of development, willingness to change and reform, resources and aspirations of the city residents. The picture of a smart city contains a wish list of infrastructure and services that describes his or her level of aspiration. To provide for the aspirations and needs of the citizens, urban planners ideally aim at developing the entire urban eco-system, which is represented by the four pillars of comprehensive development-institutional, physical, social and economic infrastructure. This can be a long term goal and cities can work towards developing such comprehensive infrastructure incrementally, adding on layers of ‘smartness’. 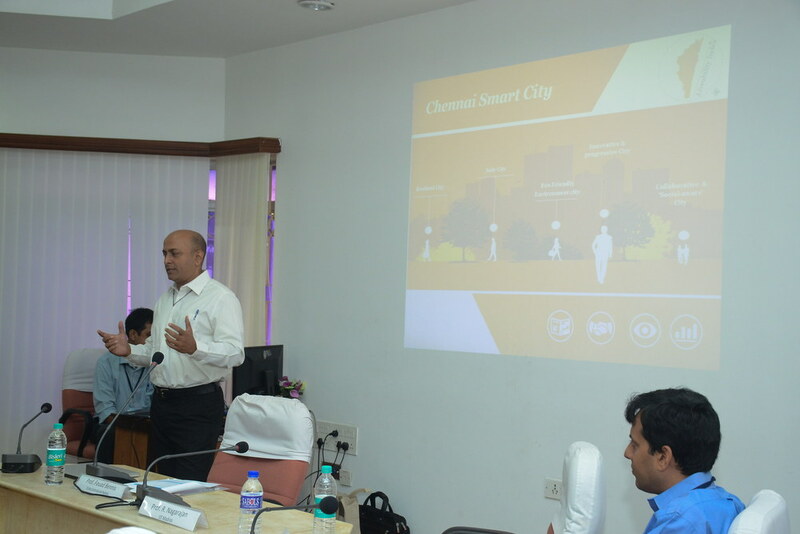 Indian Institute of Technology Madras is coordinating an international project on ‘Smart Cities’ with leading Indian and European Technical Higher Education Institutions. The Institute has taken up this initiative as part of the Heritage Network, an Indo-European network of twenty leading Technical Higher Education Institutions. They collaborate on research and academic activities that address common priorities of national interest and wellbeing of society. The network aims to achieve these goals by identifying partner institution/s in the network and undertaken joint research projects, academic and research exchanges, industry partnerships. A ‘Smartcity working group’ was constituted during the 2nd General Assembly Meeting of Heritage Network hosted by IIT Madras on 6th and 7th February 2018. Representatives of European and Indian partner institutes participated in the meeting to formulate a workable action plan for the Heritage Network consortium. 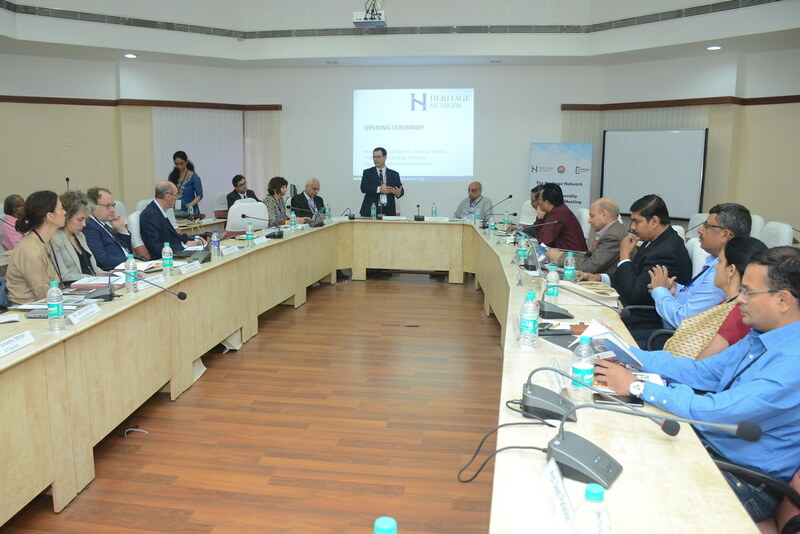 During this meeting, IIT Madras and IIT Kanpur were chosen as Indian Coordinators to coordinate the activities and action plans on Smart Cities with Universidad Politécnica de Madrid (UPM) and KTH Royal Institute of Technology, Stockholm being selected as the European coordinators. Prof Fouad Bennis, President of Heritage Network and Director for International Relations, Ecole Centrale de Nantes, France, Mr. Raj Cherubal, CEO of the Chennai Smart City Mission, and Dr. Ashwin Mahalingam, Associate Professor, Building Technology and Construction Management Division, Department of Civil Engineering, IIT Madras, delivered addresses on Day One of the 2nd General Assembly meeting. A brainstorming session was held with subject matter experts from the Heritage Network member institutions who are working on Smartcity-related subfields during the 2nd General Assembly meeting. The Smartcity working group has decided to have a few intermediate follow-up meetings before the next annual GA meeting in 2019 and a dedicated workshop on Smartcity to evaluate the progress of the working group during the next annual GA meeting in 2019. The meeting also kickstarted the Heritage Network Workshop Series. The idea is to conduct a thematic workshop along with the annual GA meetings each year, on topics/areas of mutual interest/importance to both Europe and India. Various aspects such as exchange programs, research cooperation, industry participation, funding channels, policy engagement and outreach activities were discussed to draft a roadmap for the Heritage Network. Potential short-term, mid-term and long-term action plans were identified in terms of educational programs/ exchange possibilities, research collaboration, industrial involvement and joint-funding opportunities between Indian and European partner institutions. In addition to the existing partners, four more institutes, two each from India (IIT Dhanbad and IIT Roorkee) and Europe (UPM, Madrid and KTH, Sweden), became members of the Heritage Network through a formal voting procedure.